There are now more adults in the world classified as obese than underweight, a major study has suggested. The research, led by scientists from Imperial College London and published in The Lancet, compared body mass index (BMI) among almost 20 million adult men and women from 1975 to 2014. It found obesity in men has tripled and more than doubled in women. 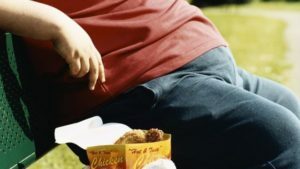 Lead author Prof Majid Ezzat said it was an “epidemic of severe obesity” and urged governments to act. The study, which pooled data from adults in 186 countries, found that the number of obese people worldwide had risen from 105 million in 1975 to 641 million in 2014. Meanwhile the number of underweight people had risen from 330 million to 462 million over the same period.